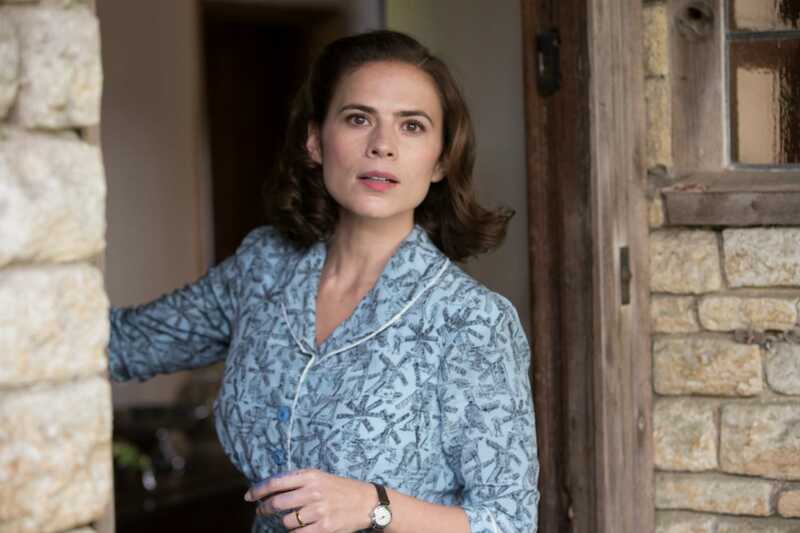 You might remember Hayley Atwell from her roles in Captain America and Black Mirror. 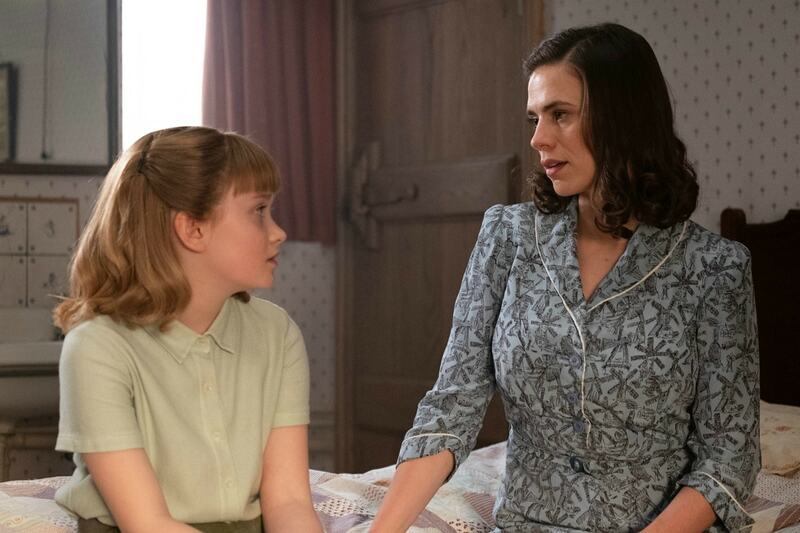 Most recently she plays the role of Evelyn Robin the new Christopher Robin movie. 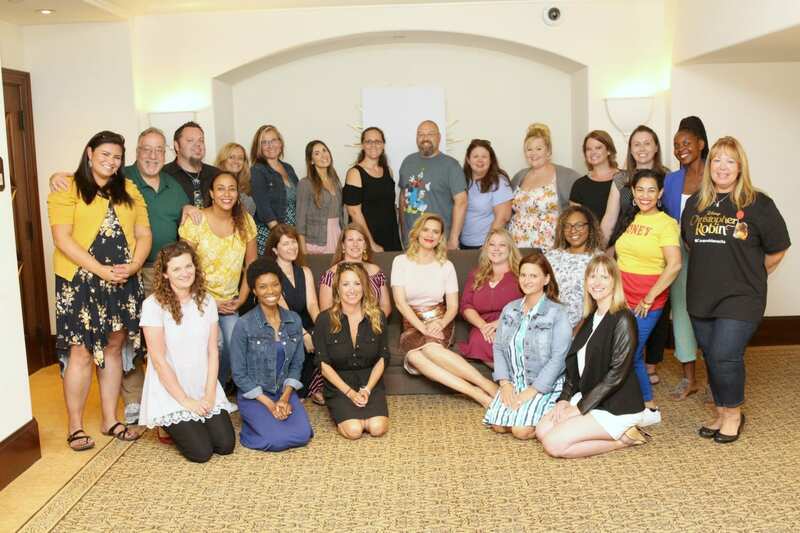 I had the chance to sit down with Hayley in LA last week along with several other bloggers to chat about the new movie and her role playing Christopher Robin’s wife. 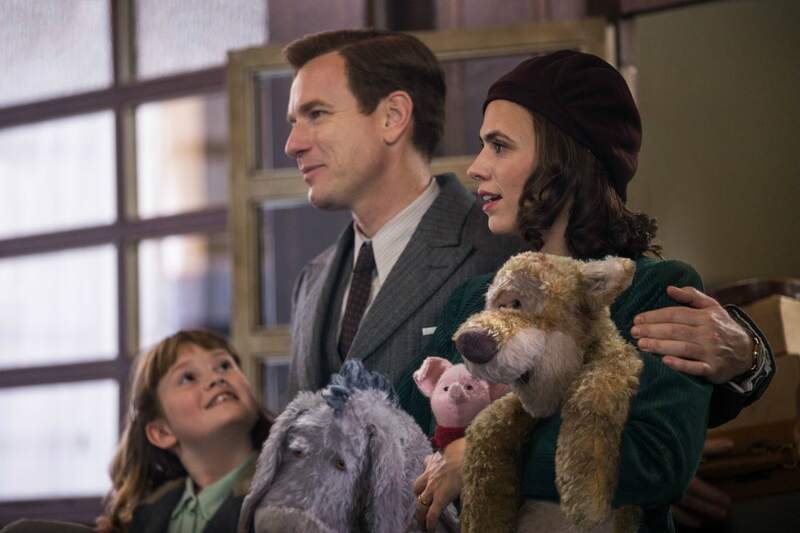 When Hayley Atwell first learned about the possibility of playing Evelyn Robin in the new movie Christopher Robin she was on holiday. She was asked to Skype with the director Marc Forester so she had to hop on a jet ski to find good reception. In the middle of the ocean, she took that call and learned about Marc’s idea of making a live-action movie that was very classic to the philosophy of Pooh Bear. He didn’t want to stray away from the characters we have loved since our childhood. Hayley thought that it was a wonderful idea and signed up to play the part. Marc and Hayley talked about her character and the relationship between her and Christopher Robin. They wanted to show how their relationship began with genuine love and joy so that the audience would understand what is at stake for Christopher if he lost her. Hayley talked about Evelyn and the challenges and struggles she goes through in the film. Evelyn has a lot of compassion for Christopher in the film. She understands that he is a man who has come back from war and is now having the responsibility to provide for his family. Christopher’s heart is in the right place but he is struggling. Haley talked about how Evelyn could probably criticize him for how he is handling everything as she is also having to deal with the pain it is causing their child. What makes Evelyn strong is that she doesn’t do that in an unsympathetic way. She is still taking care of her and her daughter’s feelings and understanding that Christopher is in a lot of pain as well. Hayley loved the end result. She mentioned that it was a good thing she saw the movie by herself since she started crying in the opening credits. The profound simplicity of it just made me feel that this is kind of already a wonderful film to be telling now.It’s just something that’s very refreshing. It’s basically saying you’re enough and I just wanna hang out with you as you are. I’m a big fan of it. While Hayley doesn’t have children, she does have very strong women in her life including her mother and her aunt. Her experiences of being with these women made Hayley feel safe and calm when she starts to feel like the world is too big of a place. She drew upon these relationships as she prepared for her role. She felt like Evelyn wasn’t a passive person allowing things to happen to her, but she was also compassionate as well. I think she’s (Eveyln) aware of the complexities of his situation and also being heartbroken about the effects it’s having on her daughter but also not turning her daughter against her father as well. And I think for me that was a very emotionally intelligent character choice to make and one that was much more realistic. I think that’s what parents have to do and have to struggle with. Hayley mentioned to us that she feels like she is very childlike. She likes to have fun. We asked about any jokes or funny moments on set and she told us of the time she had a little bit of ad-lib fun with the stuffies on set. They were filming the ending picnic scene in the Hundred Acre Woods and Marc needed some shots of her interacting with the animals. Hayley knew that most of the dialogue wouldn’t be used so she had a bit of fun with it. Mark told her that he didn’t think that’s gonna make it in the movie. When I talked with actors/actresses I am always curious what types of things they like to keep as mementos from their time on set. We asked Hayley if she kept anything and she said that she has two souvenirs from her time on the Christopher Robin set. She was given the beautiful gramophone that we see early on in the movie. And a few weeks after the filming wrapped she got a package in the mail from Marc Forester. Marc had commisioned the art department of the film to paint a picture of Pooh and Hayley’s dog, Howard because her dog was on set with her every day. Marc adored her dog so he had this painting made of Howard and Pooh in matching red sweaters. While it seems most people would say Pooh is their favorite, Hayley said she always found Piglet to be totally adorable. But she did say that working with Piglet was a very neurotic experience. It’s like he’s got what we call now in today’s kind of vocabulary is anxiety and is treated with haycorns which seem to kind of exasperate his issues. I think he needs like maybe some therapy and medication. I don’t know, as cute as he is I’m like, “It’s just a leaf, Piglet!” I didn’t have as much as patience I think with Piglet as I thought I would. I think the thing that breaks my heart when I saw the film was that moment where Christopher Robin hugs him and Pooh says did you forget me too? What makes me cry about that is because the way Pooh processes pain is that he just takes it in like a dog would, like a unconditional way and instead of attacking back or being defensive about it or finding ways to seek revenge or go well, fine and walk away as well. He just absorbs that pain, he still loves Christopher Robin and that seems to be a very human quality between people that love each other. A very necessary quality to our own civilization and for our own sense of belonging to each other. The ability to absorb pain from someone who knows that they can cause us pain but see beyond that. I found that moment was so moving and so evolved of Pooh without him realizing it that it made me fall in love with Pooh. I was so moved by what she said about Pooh. I think that is one of the reasons I have always loved that Silly Old Bear! 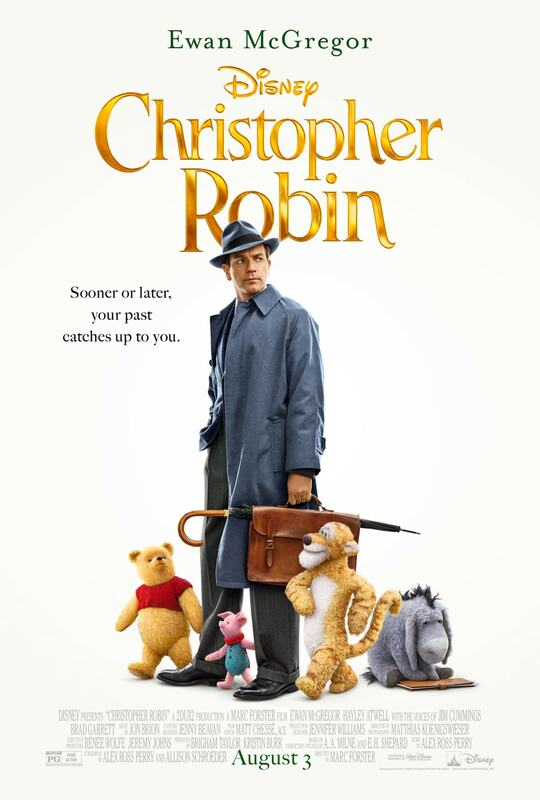 For more fun coverage of Christopher Robin please read my spoiler-free review of the movie, my experience at the red carpet premiere , my interview with Ewan McGregor, as well as my interview with the voice of Pooh, Jim Cummings.